Texture and contrast are key concepts in design, but essential considerations when designing packaging. Creating contrast by utilizing multiple substrates and finishes shows that care and attention has been taken, but it can quickly drive a projects budget through the roof. 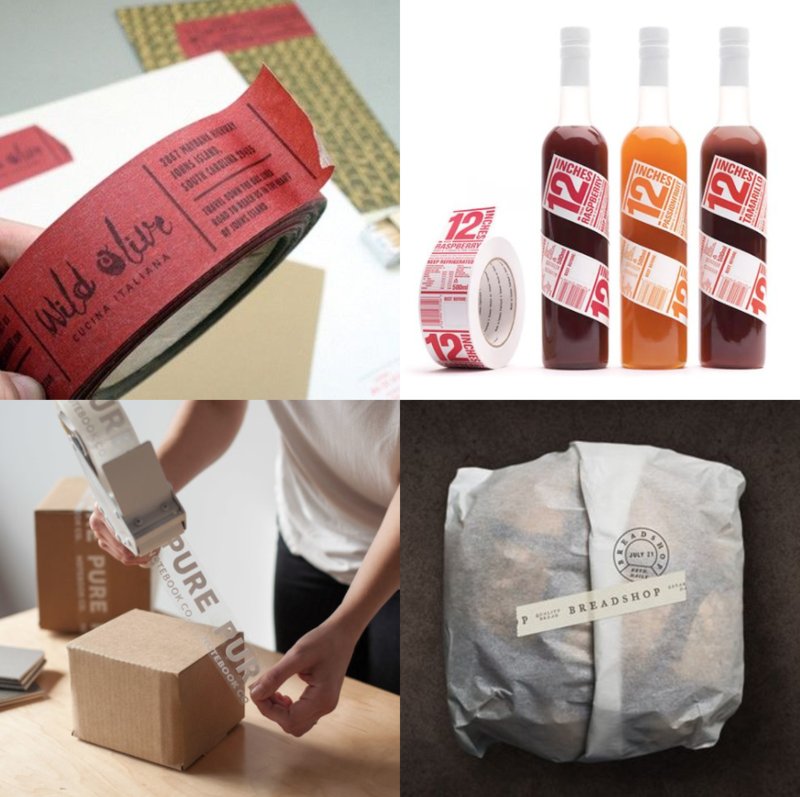 In this post we’ll be discussing some easy ways to differentiate your packaging through less expensive hand-applied elements like stickers, tapes, stamps, and tags. Stickers can be a fun and affordable way to personalize stock packaging without a large up-front investment. They can also come in handy when branding needs to be applied consistently to products of different sizes and shapes, or when an aspect of customer interaction is desired. As digital printing has decreased in price and colour matching has improved, stickers have also become an attractive way to indicate flavour changes on universal packaging. Much like stickers, custom tapes can greatly enhance impact while also functioning as a sealing/closure device. Tapes are often used to add branding to otherwise generic applications like shipping & take-out boxes, or to add an unexpected twist to print materials. Rubber hand stamps are an excellent option for projects with low quantities, and where time and staffing allows. A well-applied rubber stamp can almost pass for printing if carefully considered, and the one-time fee to produce a large stamp is exponentially lower than most printing methods. However, stamps are also unpredictable. Although their variation makes them visually interesting, it can also result in a larger amount of misprinted impressions. Hang tags are another affordable and informal way to add dimension to packaging. When overprinted, stamped, or both, tags can carry nearly all essential information while still feeling unpretentious. Standard manilla tags are available in multiple sizes, and can be useful when producing custom tags is cost prohibitive. 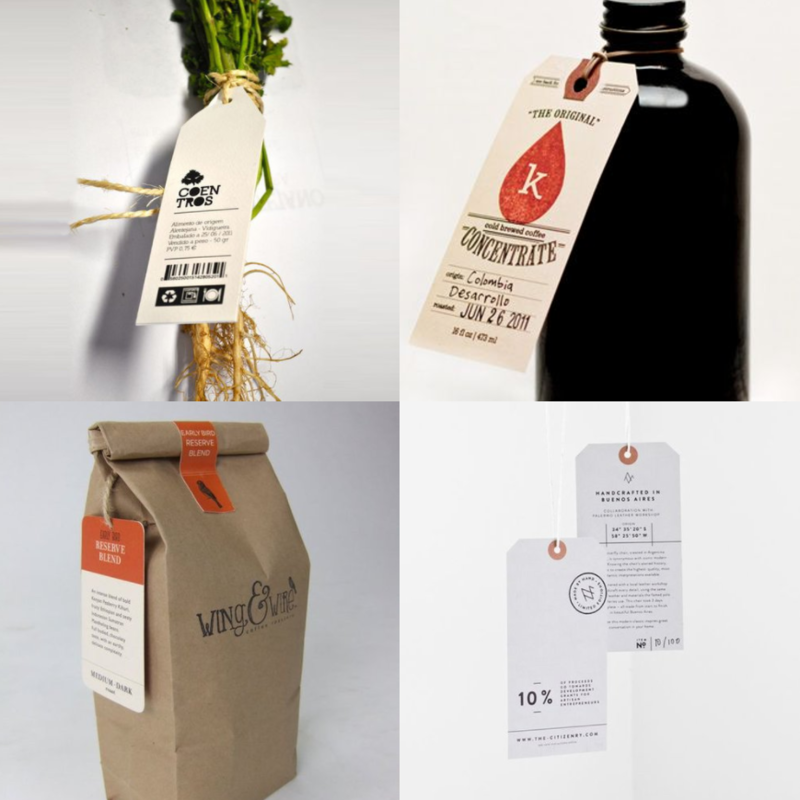 Hang tags aren’t appropriate for all brands as the tags themselves add another layer of meaning, but they’re a great option for the craft, local, and organic sectors. 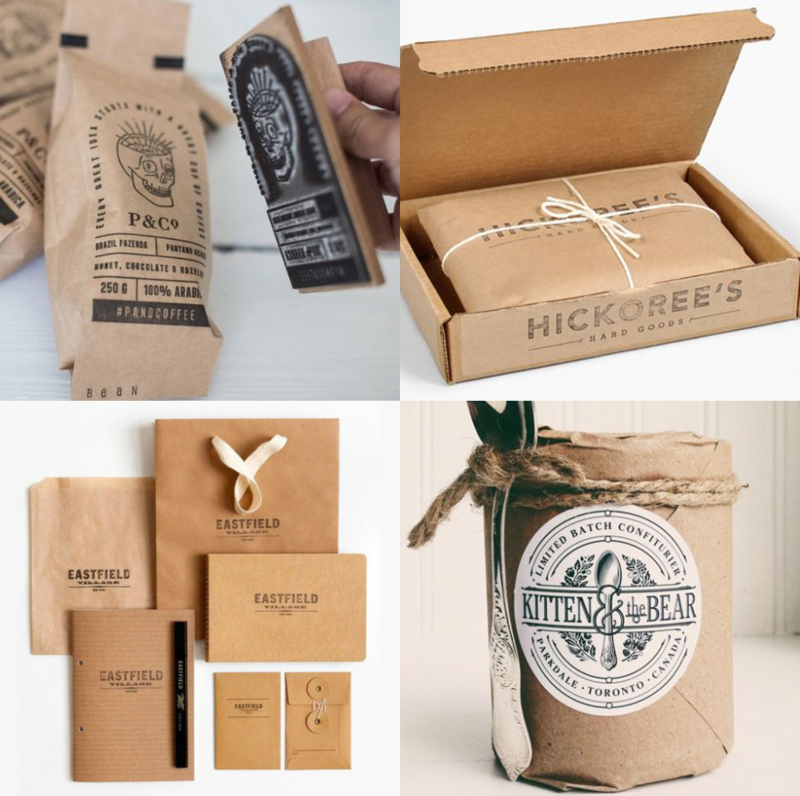 Custom packaging doesn’t have to break the bank. When implemented with care and attention to detail, inexpensive hand-applied elements can be just as effective as more expensive printing techniques. 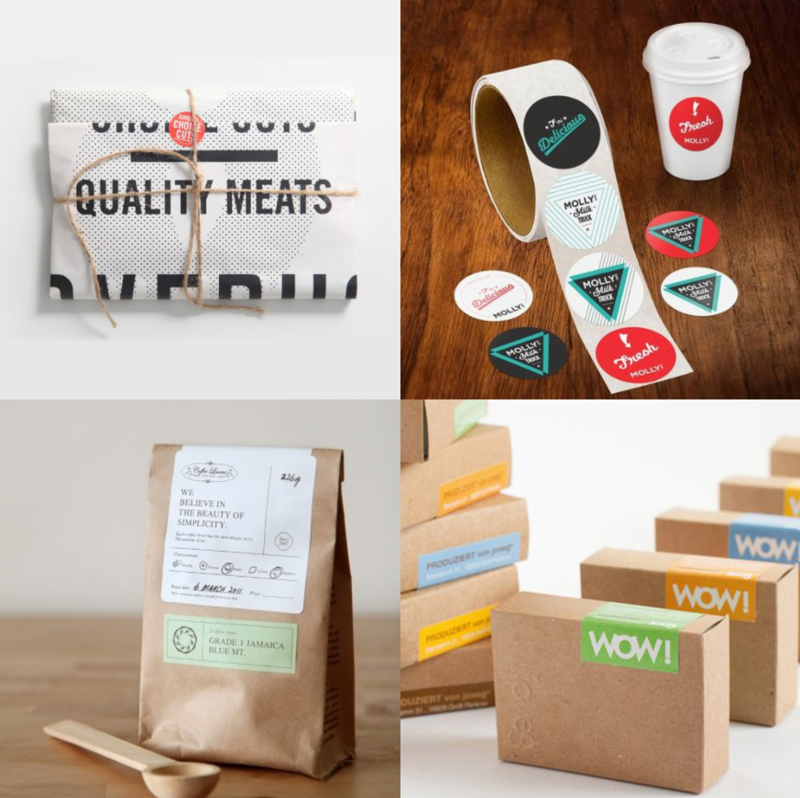 And, unlike special printing techniques, most of the methods we discussed above add an element of humanity to your package that naturally resonates with consumers.